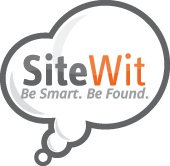 In the Google Marketing ---> Manage tab of your SiteWit dashboard, you can add/pause your keywords by first clicking the campaign(s) you wish to update. This will bring you to the Edit Campaign Page. In the Keywords section, click the green Add Keywords button and enter your desired keyword. Your query will generate a list of varying keywords that have performed well in the past relative to your industry and the services/products that you provide. Rate the keywords on how likely you would be to search them in Google. If you rate the keyword high enough, we'll add it to the campaign. If you rate it low enough, we'll skip it and show you other keywords. In the Keywords section, simply hover over the keyword you wish to pause. You should see a line strike through that keyword, as well as the pause symbol to the left of the keyword. Clicking that keyword will select that keyword to be paused. Lastly, make sure to click the green "Save Changes" button that appears next to the "Add More Keywords" button.